Pine Grove Baptist Church, hosting its annual Vacation Bible School, from July 30 to Aug. 3. The theme this year is “SHIPWRECKED” and will be held each evening from 6 to 8:30 p.m. Contact the church for questions and pre-registration for this event at 304-464-4853. Strawberry Festival Lunch and Bake Sale – First Congregational Church, located at 318 Front St., Marietta, will be having its annual Strawberry Festival Lunch and Bake Sale from 11:30 a.m. to 1 p.m., Sunday, May 20, at the church. The cost is $7 for adults and $5 for children age 7 and under. The meal includes sandwich, chips, drink, and strawberry or peach shortcake. Proceeds will go toward the general fund. Awana program at Twin Rivers Baptist Church — classes held from 7 to 8:15 p.m. each Wednesday from September through May, throughout the school year, for boys and girls through the sixth grade; each evening’s session includes lesson time, Bible verse memorization, snacks and games; Awana classes are conducted for “Cubbies,” for preschoolers; “Sparks,” for children in kindergarten through the second grade; and “Truth & Training,” for students in third through sixth grades; also at 7 p.m. each Wednesday there is a teen class for students in grades seven through 12, and an adult Bible class; Twin Rivers Baptist Church is on D.A.V. Road, off Ohio 821, and is located just 300 yards north of Exit 6 off Interstate 77; a bus route is available to pick up boys and girls for the Awana program; for more information: 740-376-0440. GriefShare Support Seminars, 6:30 to 8:30 p.m. Thursdays through May 17, at St. Paul’s Evangelical Church, Parish Hall (social room), 401 Fifth St., Marietta; registration is recommended; child care provided (call in advance when possible); contact Information: Pastor Joe Vasarhelyi at 740-343-3757; Facilitator Carolyn Becker at 740-585-2087; Facilitator Becky Moore at 740-336-5704. ¯ 5 to 6 p.m., second Thursday of each month, Tunnel United Methodist Church, Ohio 550 and Coffman Road, Marietta. Meatloaf will be served on Thursday, May 10. Handicapped parking is available in the upper parking lot by the church entrance. To request to have a meal delivered within a five-mile radius, leave a message at 740-374-5634. 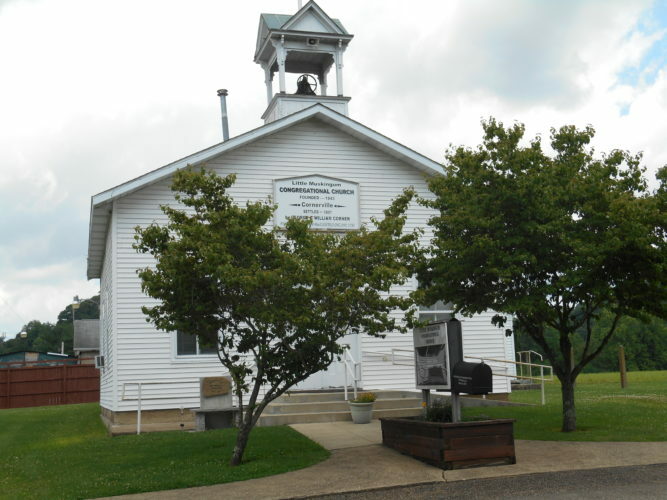 Flower and fern sale – Wayside United Methodist Men will be selling various flowers and ferns for Mother’s Day on Saturday, May 12, from 9 a.m. to 5 p.m. on the corner of Grand Central Avenue and 30th Street in Vienna.